This is a topic I haven’t heard a lot about. We have done several garage remodels, some more on the inside, others more outside work. Kathy’s remodeling blog covers garages as well as the more expected kitchens, baths and living rooms! 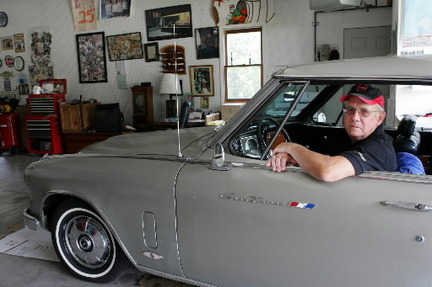 Remodeled Garage resembles a Mans Idea of a Living Room! Kathy really covers all the rooms in a house, including this garage! I am impressed with her comprehensive knowledge of all aspects of home remodeling, from design to hiring contractors. Rose Construction has been in business for 24 years, but I am still getting up to speed on remodeling and all that it entails. The garage above looks very much like the garage in a few TV shows I’ve seen over the years. Yes, you can park a car in it, but I expect there is probably a couch just out of sight. It looks like a guy’s dream living room. We recently completed a garage remodel that I was blown away by the incredibly organized, clean and exceptional storage space available when the remodel was complete. Check out this photo: The owners preferred very clean classic lines with lots of storage. 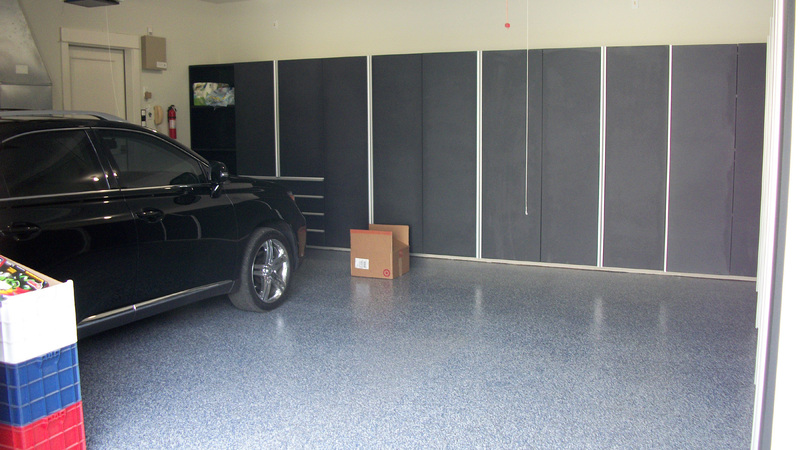 With cabinet doors covering all stored items this garage will never look cluttered. The flooring is a nice cool blue pattern. So, remember to keep the garage in mind when considering what rooms need remodeling!